Become a Gold Lifetime Member of 3wisemen and earn gold & silver! Cost: One 1 oz. gold coin. Current gold coin values in $U.S. can be assessed here. 1. One 1/2 oz. 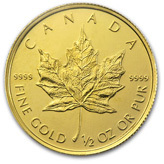 gold coin for everyone who subsequently becomes a Gold Member and says that you are the one who referred them. One 1 oz. silver coin for everyone who subsequently becomes a Silver Member and says that you are the one who referred them. 6. You have a 10% discount on all listed priced orders into the future... and you get to support this website* in a way that can be prosperous for us all. 7. You will be on our maillist and receive our mass emailouts (unless you have an earthlink.net address) whenever we send them. Inquire: Here. Please include name, email address, mailing address, name of who referred you (if anyone) and any other information you deem to be relevent. Know that we protect your privacy and will never use your information for any other than this immediate purpose. All items, including gold & silver coin referral rewards, shipped within three business days of receipt of payment. *Always, promoting health and freedom; honoring truth, nature and reality; nurturing kindness and love; getting the word out. Become a Silver Member of 3wisemen and earn silver! Cost: Six 1 oz. silver coins. 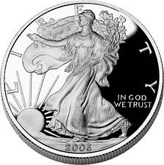 Current silver coin values in $U.S. can be assessed here. 1. One 1 oz. silver coin for everyone who subsequently becomes a Gold or Silver Member and says that you are the one who referred them. 4. You have a 5% discount on all listed priced orders for one year... and you get to support this website* in a way that can be prosperous for us all. 5. You will be on our maillist and receive our mass emailouts (unless you have an earthlink.net address) whenever we send them.